From time to time, OneDesk publishes “pie-in-the-sky” use cases to describe a certain issue or set of issues that a company or organization can face, and how OneDesk can ultimately benefit said company by providing a collaborative cloud-based solution to their issues. Today’s use case describes how OneDesk can help your organization by providing much needed collaborative innovation with the customer. 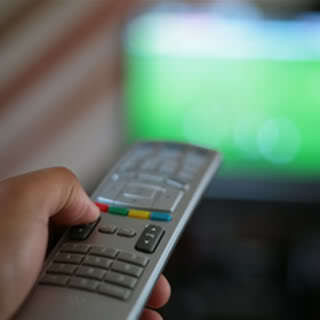 Based in the greater Chicago area, EmediaTV Inc is an emerging contender in the area of OnDemand Television providers. They make movies and television shows available to watch via various cable providers and online. In order to keep customers coming back for more, EmediaTV needed to implement a method of “inviting” customers to watch more movies. This led to one of EmediaTV’s most lucrative features: an intelligent method of recommending movies or TV shows to the end-user based on shows and movies already watched. The problem with this recommendation process is that EmediaTV had no measure of how effective their recommendations were. As much as automated recommendations helped to give the customer more value from the service, EmediaTV needed to know that their recommendations were effective. They needed a tool to gauge customer retention not just through subsequent movie-views, but also through dialogue-sourced feedback. They had a simple metric to measure how often a viewer would actually click on a “Recommended” film, but it wasn’t enough to capture the voice of their customers to see if the recommendations provided were actually enjoyed by the viewer (rather than quickly dismissed). EmediaTV also needed a way to take that feedback, and push it along to their product management team in order to update the recommendation scheme based off the initial feedback given. They were looking for a collaborative innovation solution. Their customer service team and product management team got together to figure out how to resolve their needs. Seeing this issue, EmediaTV’s product management team drafted a business case for the acquisition of a collaborative customer portal and ideation management tool. Along with well-established analyst data on the advantages of adopting an embedded customer portal for their website (two-way dialogues of communication with the customer leading to customer satisfaction and retention, added collaborative innovation), they also cited the potential use pertaining to measuring the effectiveness of their recommendation process. A back end, internally collaborative UI that could centralize all feedback from customer emails, social media, and a customer portal. After much searching and shopping around, EmediaTV found OneDesk. With OneDesk, they were able to efficiently set up a customer portal on their website to which all of their viewers were able to submit feedback, compliments, and issues pertaining to the recommendations on EmediaTV. Not only can they gauge what customers feel are the pros and cons of their recommendation system, they can now send key sets of customer-feedback to their product team for improvement on the system and allow for customer innovation. They were also able to create polls and let customers vote on which exact movies and TV shows ranked best when it came to their recommendations. Their customer service team now has the ability to send any serious bug reports pertaining to EmediaTV’s recommendation function directly to their product management and product development teams.